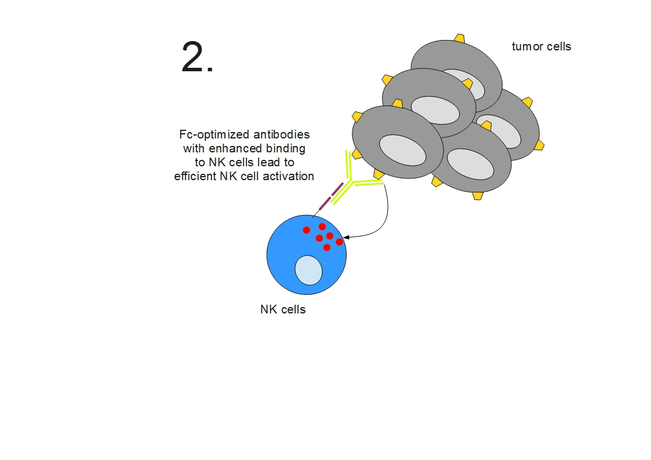 In order to improve the therapeutic activity of anti-tumor antibodies, SYNIMMUNE genetically modified the FC part of its antibody to enhance antibody dependent cell-mediated cytotoxicity (ADCC) and tumor cell killing. 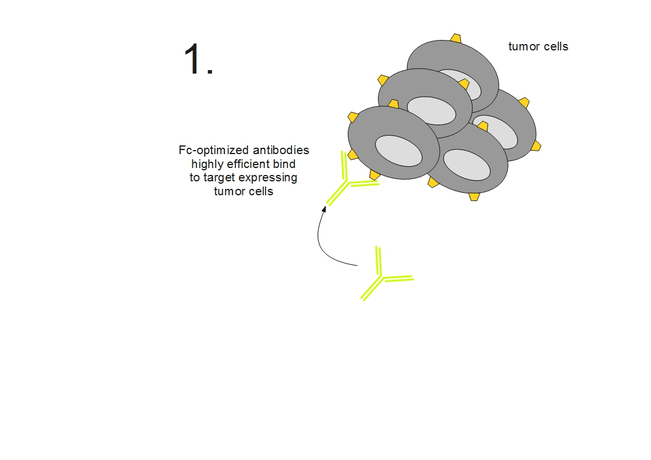 The monoclonal antibody (green) binds to surface molecules (orange) specifically overexpressed on tumor cells (gray) (1). 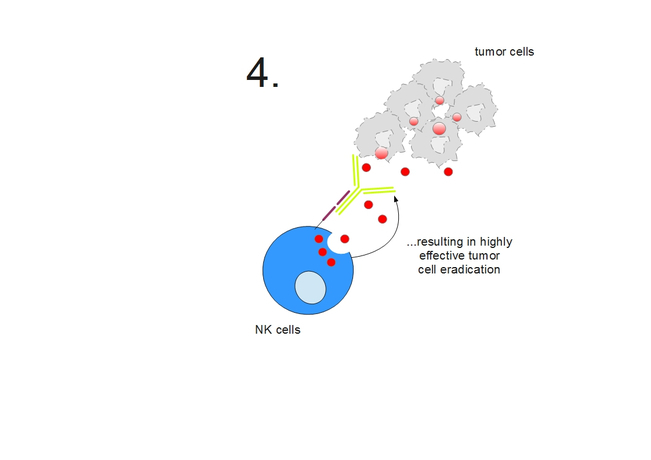 Through Fc part optimization, SYNIMMUNE’s monoclonal antibodies exhibit enhanced binding to the Fc receptor CD16 (purple), which is preferentially expressed on natural killer (NK) cells (blue) (2). 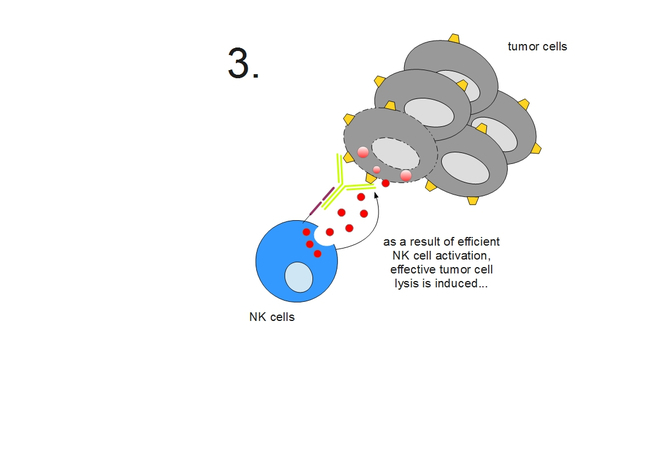 ...and results in enhanced specific and antibody-mediated killing (by Granzyme B and Perforin (red bubbles)) of tumor cells by NK cells (4).